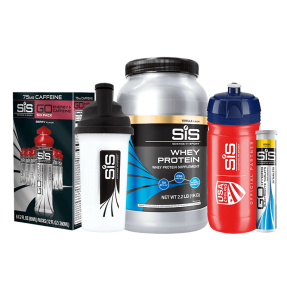 Mix one serving (84 g) of Beta Fuel with 500 ml of fluid and drink little & often during exercise to meet fueling requirements. Maltodextrin (from Maize), Fructose, Sodium Chloride, Natural Flavoring, Calcium Lactate, Potassium Chloride, Sodium Citrate, Magnesium Citrate, Natural Sweetener (Steviol Glycosides). 2:1 ratio sports drinks aren’t new; however, historically they’re delivered in hypertonic solutions meaning a high risk of stomach upsets which is why we’ve avoided as a brand. 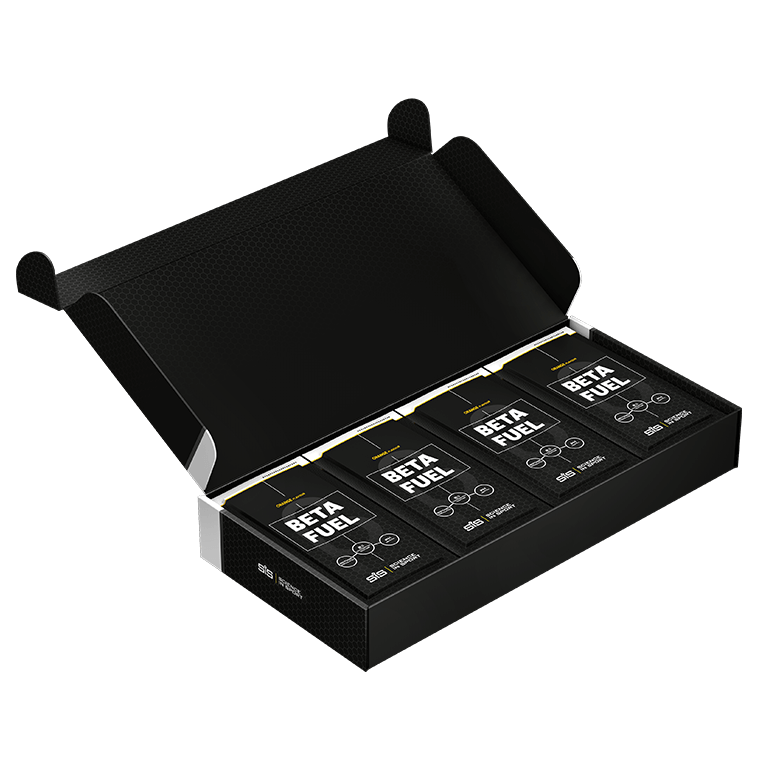 Now, following a development cycle alongside Team Sky, 2018 Giro D’Italia Winners, Beta Fuel is a breakthrough technology delivering the optimal dosage of carbohydrates while maintaining an isotonic solution. Fueling requirements for long endurance events (greater than 2.5 hours) are 60-90 g of carbohydrate per hour. The ability to deliver such high levels of carbohydrates with minimized risk of gastrointestinal issues is crucial to performance. Beta Fuel can be used to meet these fueling demands in an isotonic solution. 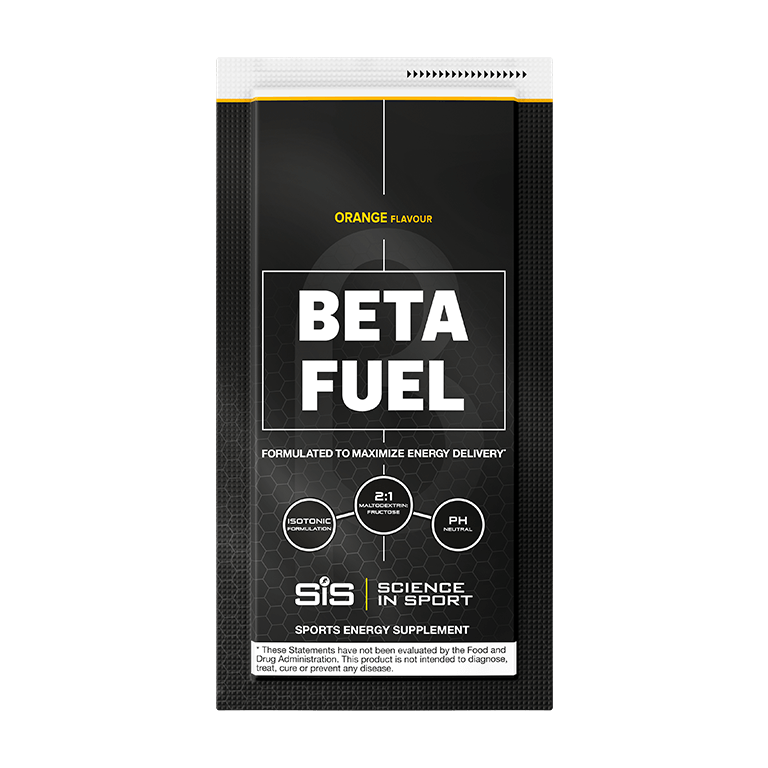 How does Beta Fuel fit into my overall fueling plan? During long endurance events greater than 2.5 hours, it is recommended to fuel with 60-90 grams of carbohydrate per hour, from the first hour. When fueling a flat, less technical ride, drink 250 ml of Beta Fuel per hour and use additional products from the GO Energy Range to fuel with 60-90 grams of carbohydrate per hour. When the route profile is challenging, i.e long climbs or technical descents, drink 125 ml of Beta Fuel every 15 minutes to fuel an hour. Yes, Beta Fuel uses natural flavors and is free from colors and preservatives. Yes, Beta Fuel is tested under the Informed Sport program. Haven’t used it yet, but im in love just by looking at it. Tried my first Beta pack today on 3.5 hour ride. First hour just water/tablets, then grabbed the Beta. Didn't notice any jet fuel impact, but goes down smooth, tastes fine, felt good all ride. Make sure you leave plenty of room in the bottle, though, as this product is about the biggest powder:water ratio of anything I've ever used. Love all of SIS products. They are very athlete friendly. Used in two long events and I pleased with the results so far. Taste is good and no gastrointestinal problems. Took awhile for the powder to mix in my flask, first few sips there were some lumps but after awhile it all dissolved down. Taste was a nice change from other fuel, not to strong. Felt good throughout the run with no stomach problems.